MANILA (Reuters) — Bracing for life after Brexit, British hospitals badly need more nurses like Filipino Jobie Escalona, but she twice flunked a mandatory English language test that asked her to write up the merits of immigration and computer education in school. The 23-year-old Escalona, with three years experience in a private hospital in Manila, lost almost 3 months salary paying nearly $600 (all figures U.S.) to sit the tests. But, her tortuous experience doesn't bode well for Britain's chances of adequately filling alarming staffing gaps in its healthcare services. As of June last year, 16 per cent of nursing jobs in hospitals and community health services were held by foreigners - nearly a quarter of whom were Filipinos. Febin Cyriac, a business development manager at Envertiz Consultancy, a British healthcare recruitment firm that specialises in bringing in nurses from overseas, started a petition in change.org in 2014 that asked U.K. regulators to relax their IELTS scores. "IELTS is the only barrier for them to practice as a nurse in the UK," said Cyriac, himself a nurse working in Britain. 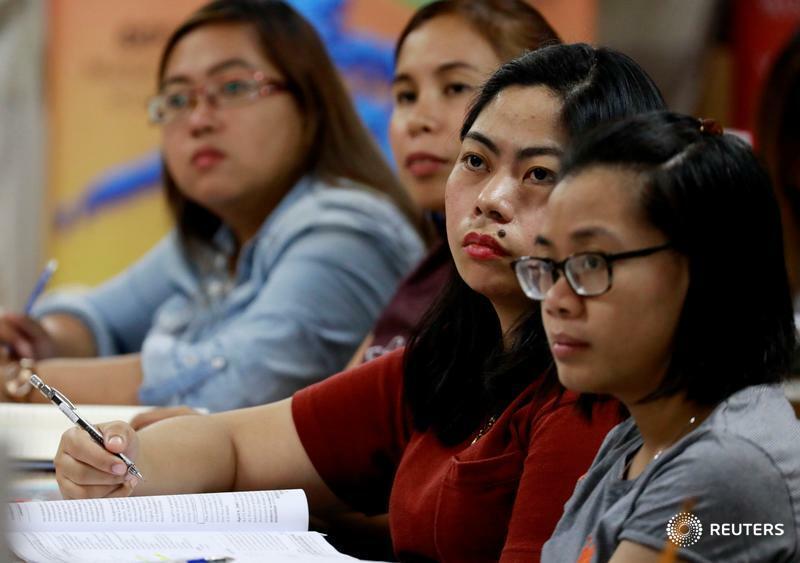 "There are a lot of markets for our Filipino nurses," Olalia said, adding that it was understandable if they took jobs in places where the requirements were easier to fulfil. Filipino nurses who were recruited in the 1990s did not have to take the language tests, yet they are still in the NHS and providing good service, said Reydeluz Conferido, who was until recently the labour attached to the Philippines embassy in London.